See more objects with the tag interior, decoration, container, scalloped, domestic, display, floral, repetition, woven, leaves, interwoven, cross-hatching. See more objects with the color darkgrey tan darkkhaki grey darkolivegreen or see all the colors for this object. 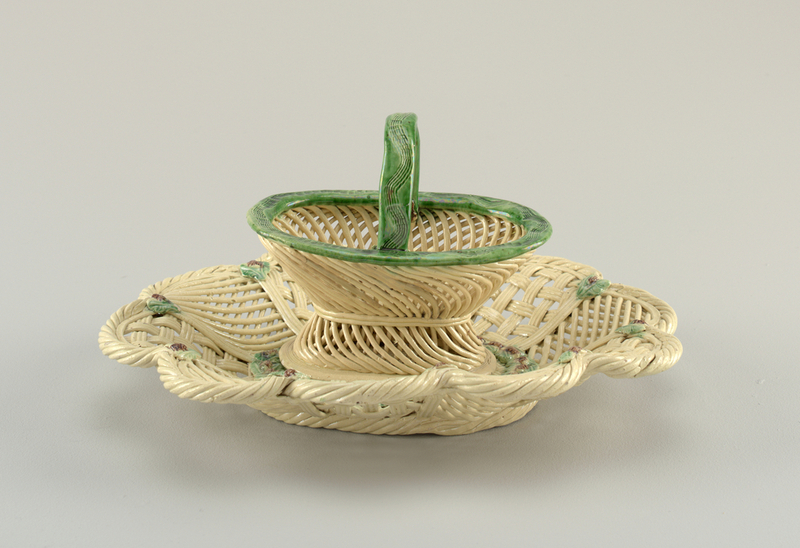 This is a Basket and tray. It is dated late 18th century and we acquired it in 1986. Its medium is glazed earthenware. It is a part of the Product Design and Decorative Arts department. This object was donated by Dr. Marilyn G. Karmason. It is credited Gift of Dr. Marilyn G. Karmason.